Material: * Terry 8" x 8"
Some of our customers even use our cloth diaper wipes to replace paper towels throughout the home. About GroVia Over the years trends come and go. Styles emerge and fade. But one thing stands the test of time – parents want to give their babies the best. 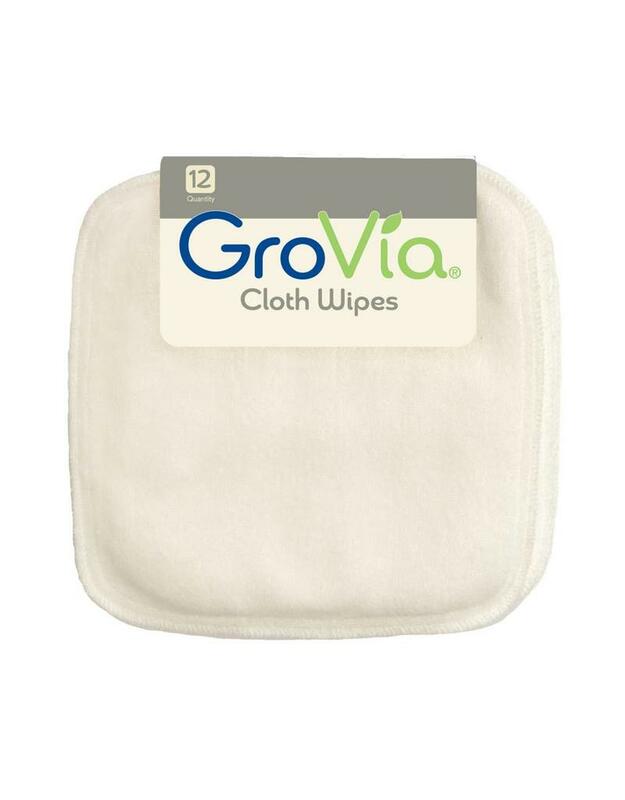 That is GroVia’s purpose – to give parents everywhere the tools they need to provide their children with premium, accessible, modern, green, easy-to-use diapering and natural baby products. To help our children live health conscious and earth friendly lives. And to simplify the way parents nurture baby, naturally. 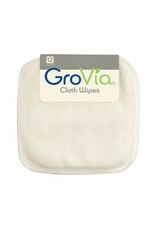 The brainchild of a mother of four, GroVia diaper systems help take the mystery (and fear) out of cloth diapers--offering modern parents an eco-friendly, stylish, economical, and easy-to-use diaper. Production GroVia and its manufacturing facilities adhere to strict compliance agreements that allow for Fair Labor/Fair Wages. GroVia provides great jobs both in the U.S. and abroad. Working hand in hand with the production family in Northern China, means everyone shares in the successes of the company. Believing that they are only as good as the people they work with, GroVia created standards of conduct. For GroVia, "it all comes down to being an ethical and morally responsible company and holding vendors to those same standards!" says Kim Ormsby owner and CEO.